I use to really like this app until the recent update. I can’t get my activities to go to the designated place like I use. I am on the hunt for something else. I don’t know why developers mess with a good thing! Support contacted me but I can’t put anything back like it was. Very aggravating! The new update really messed up a good thing! 🤬Until this is fixed I won’t rate this anymore than a one. To the developer - Please stop trying to contact me. I have been in touch with your people trying to see how my issue can be fixed. It should be simple. It takes forever for anyone to get back to me. I shouldn’t have to pay to have someone help me faster. If the people who help with this app responded as fast as they do to people posting reviews things would be great! I haven’t heard from anyone in two days on the issue I would like fixed. Apparently I have angered someone. I get a response every time I edit this review. These people keep sending me the same response daily. Too bad they don’t contact me to help me the issue I have! I have been waiting and all I get is this response to my review. 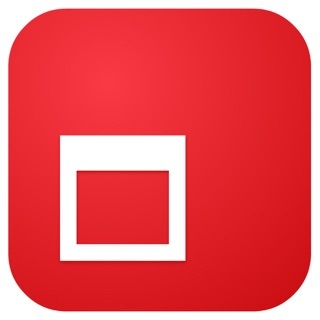 Forget this app and get one that the developer will assist in helping if you need it. It’s March 4th and still nothing worth noting from this app developer. That should show anyone what their users mean to them. 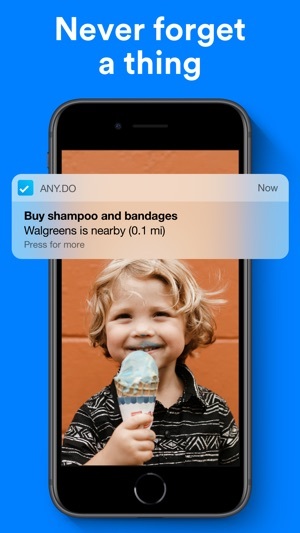 Find a better app with people that actually want to help their customers. We're sorry for any issue you've experienced! This response hasn't been edited by us nor did we send any new replies since early February - we're not sure where the daily replies come from. Our Support Team has no backlog and all standard tickets are responded within the usual 48 hours, unless there's a complex issue which requires more time to investigate (of which we alert the user). We're not sure what the nature of this problem is since Apple only shows an alias, but if any problem is still pending please message us on FB or DM us on Twitter so we can get this sorted for you ASAP. I’m not sure what all the negative reviews are about. Well, obviously they feel they had a bad experience, I just don’t agree & haven’t had their problems. I received an Echo Spot & tried this app when I saw it listed as working with Alexa. I like that the app made connecting with Alexa, Calendar, Reminders, etc very easy. I have had no problems. 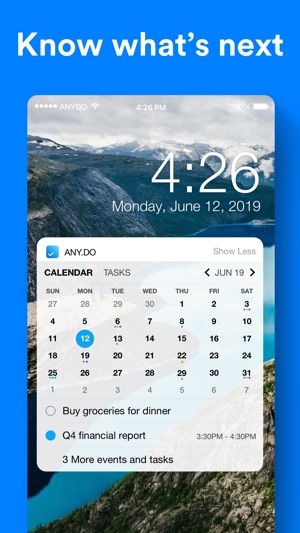 It works with both Alexa & Siri, nice clean interface, always sends my reminders, integrates my calendar no matter where I enter my event/reminder (through Alexa, Siri, Reminders, or Calendar), sub tasks works great, & I haven’t had any lagging. I love the ‘plan your day’ thing, very easy, intuitive, & useful! I’m not running this on a new iPhone either, a very full 6s+, & I have not bought a subscription. It does sometimes open slow, but only when I have a bunch of apps open so it is my phone not the app. This hasn’t completely replaced Things app since nothing (for me) does projects like it, but I no longer use Things for everything, pretty much just business projects. So far this has been a very useful, easy to setup, & easy to use app that does what it advertises, also working with both Siri & Alexa. This app has evolved a lot since I first downloaded it and it’s become a really great experience. The new grocery list organization really is awesome and everything works seemlessly with Alexa and Siri. The only thing that’s keeping me from 5 stars now is something I complained about before: the inability to select the default due date for list items. Anything added to a list via Alexa (which I do a lot for groceries), automatically gets added to “Today.” It then bogs down my calendar with grocery items like they need to be purchased today and the only fix is to manually drag everything to “Someday.” This is a huge nuisance. I would like either an option to select the default due date (“Someday”) or have the option to not display list items on the calendar. It would also be GREAT to be able to select multiple list items at once. This would make moving them and managing them a lot easier (like how the Gmail inbox works). Do that and it’s 5 stars. Thank you for these valuable feedback! 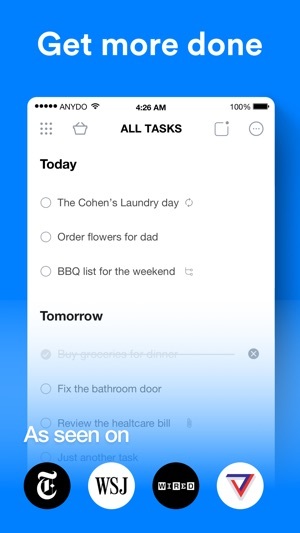 The app was designed as a task manager to ensure every item is handled in due time, which is why new tasks with no reminder time will be added directly to the Today category. 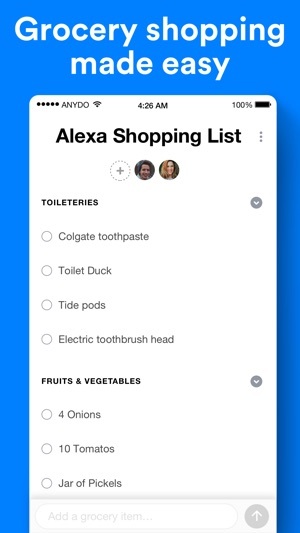 However, Alexa Shopping items have already been set to be placed under the Someday category per our users' feedback :) We're also rolling out the smart Grocery List feature which allows you to convert lists to smart ones in order to remove them from your To Do section! 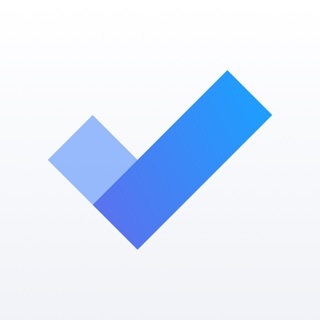 As for bulk actions - we appreciate the suggestion and will definitely pass it on to our Product Team for further review.